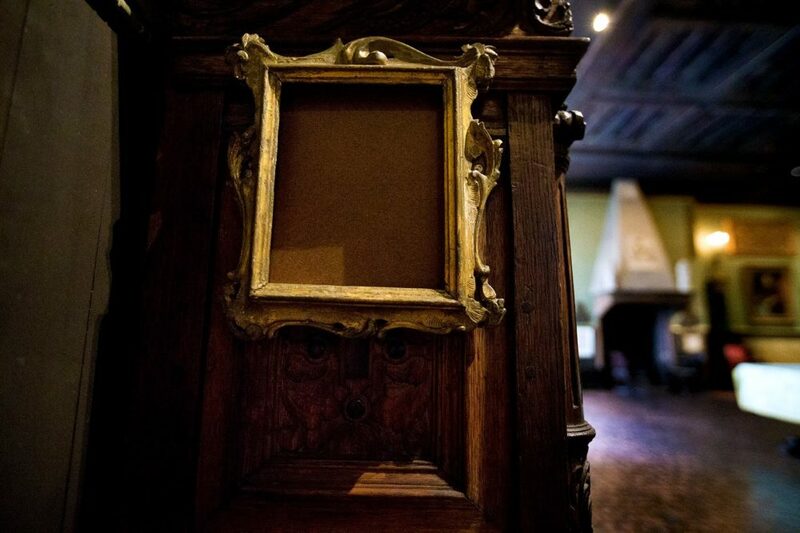 It was perhaps inevitable that I would spend so much of my journalism career covering the stunning 1990 theft at the Isabella Stewart Gardner Museum. The heist robbed the museum, the city and the nation of artistic masterpieces. At this point, I've devoted much of the past two decades to investigating and writing about what happened and where the paintings might be now. My ties to the museum are as much ancestral as they are professional. My Armenian heritage provided me with an appreciation for the importance of cultural treasures — and their loss — and artistic expression. My American upbringing provided the tools and opportunities to seek the truth and redress injustices as an investigative reporter. My father was a survivor of the Armenian Genocide, which took more than a million lives as well as practically all of our people's cultural and religious treasures. Being part of that collective suffering has allowed me to relate more personally to what the theft has meant to the museum that Isabella Stewart Gardner opened in Boston in 1903. She had the transcendent idea while traveling the world in the late 19th century with her husband, Jack Gardner, a shipbuilder from the North Shore and one of Massachusetts’ wealthiest entrepreneurs. She had come to realize that civilizations were not remembered so much for their economic or military might, but for artistic achievements. The industrial revolution had turned America into a world power, but until its people appreciated art and produced an “American tradition of art,” it risked being forgotten. My father, who grew to become a successful commercial artist in Greater Boston, had a deep appreciation for the Gardner Museum’s collection. After coming to the United States as a young refugee, he was recognized for his artistic abilities at Watertown High School and, by his senior year, accepted a scholarship at the Vesper George School of Art. To me, his success was a realization of Mrs. Gardner’s vision — that a person’s wealth or station in life did not influence whether he or she had artistic ability. Genius graced only a few, regardless of how rich or poor they were. Because of Mrs. Gardner's interest in making art accessible to as many young people as possible, she had insisted on free admission for students. He told me he had visited the museum dozens of times while in art school and later in life. He relished the fact that patrons at the Gardner Museum were allowed to get close enough (closer than you could get at the Museum of Fine Arts) to see how the masterpieces were produced. In addition, two of my father’s cousins were classical pianists and performed dozens of times during the mid-20th century, including, as late as 1983, at concerts there, and often, my parents attended them with great pride. So, my father was pleased when I told him in 1997 that I had been assigned to assist in The Boston Globe’s coverage of the missing paintings. It had been a few years since the heist and the Boston Herald brought the intrigue back with a front page headline reporting "We've Seen It." A reporter wrote about how he'd been taken to a warehouse and been given a glimpse of a painting that looked like the stolen Rembrandt, "Christ in the Storm on the Sea of Galilee." “Now it’s time you do something purposeful for the museum, for the city,” I remember my father telling me. Those words had special importance to me. I had spent much of my career as an investigative reporter, working on just such stories. In the early 1970s, I became a founding member of The Globe’s Spotlight Team, which was dedicated to focusing on stories that had special significance to Boston and New England. It was the team in the ensuing decades whose coverage would expose how notorious Boston gang leader James (Whitey) Bulger had been allowed to continue his murderous practices because of a secret alliance he maintained with the Boston FBI. And it was the team that, in 2002, broke the clergy sexual abuse scandal by revealing how the Boston Archdiocese had condoned such abuse by scores of its priests over the years. During my 16 years as a reporter and then editor of the Spotlight Team, we exposed not only corrupt politicians and wasteful public spending but also the higher incidence of cancer and leukemia among workers exposed to radiation at the Portsmouth Naval Shipyard, profit-making career schools that had ripped off high school graduates and young veterans hopeful of gaining vocational education and how Boston police had the poorest record for preventing and solving crime among big city police departments in the nation. And I saw the Gardner case in a similar way — in need of hard reporting. Consider that before this all started, back in 1981, the FBI told Gardner officials that a rogue criminal named Louis Royce had devised a plot to pull off a heist of the museum. He and a partner, a leader of a major crime crew, would carry out a smoke bomb attack during one of the Tuesday night classical music performances, and make off with the art in the ensuing chaos. Had that occurred, my cousins or their friends could have been performing at that concert! I interviewed the thief, Louis Royce, many times and he regaled me with stories of how he had grown to love the museum and its rich collection after visiting it for the first time in junior high school. Although I was born and raised in Boston, and a product of its public school system, I don’t recall having been taken for a school tour of the museum. But my high school, Boston Latin School was located less than a block away from the Gardner Museum in Boston’s Fens neighborhood. With its free admission price and at my father’s urging, I would occasionally find myself spending a leisurely hour or more inside the Gardner’s galleries, if not entirely to appreciate the artistic beauties, but for the human kind as well. Latin School was still an all boys’ school during my years there and the museum was a favorite haunt for the young coeds who attended colleges and art schools nearby. In taking on the Gardner story, I began investigating those who were working at the museum the night of the theft, their colleagues and their supervisors as well as those whose names had been raised as possible suspects. 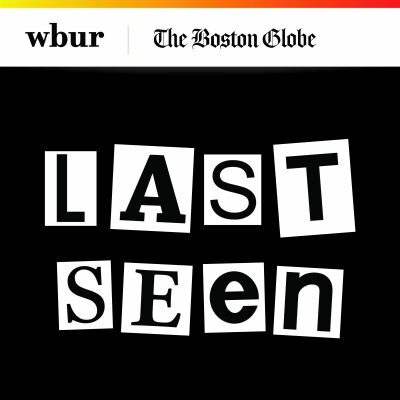 Those interviews and museum records provided to me in confidence comprised the substance of the reporting that I did for The Globe before I retired in 2007, and for my book on the case, "Master Thieves: The Boston Gangsters Who Pulled Off the World’s Greatest Art Heist" that was published in 2015. The book told of the frustrating twists and turns that the federal investigation had taken and how the FBI’s early decision to conduct the probe solely on its own without the benefit of the Boston and State Police departments limited its effectiveness. It also introduced me to Vincent Ferrara, another long-ago chief in Boston’s criminal underworld, whose association with a criminal underling may have provided the reason for the theft — to spring Ferrara from prison. Regretfully, my book has not yet had the consequence I hoped for in writing it — that it would somehow lead to a recovery of the 13 pieces of art stolen that night. If my coverage was to be seen as purposeful, didn't it need to lead to a recovery? In wrestling with that question, I spoke with a French police officer whose investigative unit had successfully recovered several major artworks, including the nine impressionist paintings stolen from Paris' Musée Marmottan Monet. “What lessons could be learned from his work that might apply to the Gardner case,” I asked Pierre Tabel, then with France’s National Art Crime Squad, who was familiar with the Gardner case having assisted the FBI on pursuing leads related to it. In effect, Tabel told me that we needed to stop treating this case like some mystery with great intrigue because it is so much more than that. "This is an extraordinary loss from your city and your country's national treasury," he said. That attitude ensured that the French public provided constant support to the police to achieve the recovery. Gaining maximum public awareness and support for a Gardner recovery has not been constant. The FBI has long emphasized the $10 million reward for the return of the 13 pieces, rather than what the loss means to the Boston and the art world at large. Perhaps, in addition to its investigative efforts, the FBI and the museum should commence a large-scale promotion campaign to make the identity of the pieces and their importance to Boston, America and the art world a primary focus. But such a campaign should not use museum officials or FBI agents to plea for the artwork’s return. They have no cachet in the underworld where the secrets of their whereabouts lie. Instead, I would suggest asking Boston Cardinal Sean O’Malley, whose life has been dedicated to redemption, or Boston Mayor Marty Walsh, whose political campaigns seem to make a special connection with working class Boston, to appeal to people’s better angels and tell what the return of the masterpieces would mean to Boston and the art world in general. Mrs. Gardner had given these priceless works to us to enrich our lives, and I know that until they are back in the museum’s galleries no one will be able to share my father’s total experience of being inspired by them.